Asking what our built environment will look like in the future is a vague and more-or-less impossible question to answer. However, speculating on what cities will look like in the next ten years is a game many in the real estate industry play. Furthermore, wondering where development opportunities lie is a lucrative business. Typically, asking architects or zoning attorneys about zoning and spending weeks going back and forth is a process that can rack up thousands of dollars, but help may lie in form of Envelope. A break away from New York firm SHoP Architects, Envelope, according to CEO Cindy McLaughlin, shortens this process. 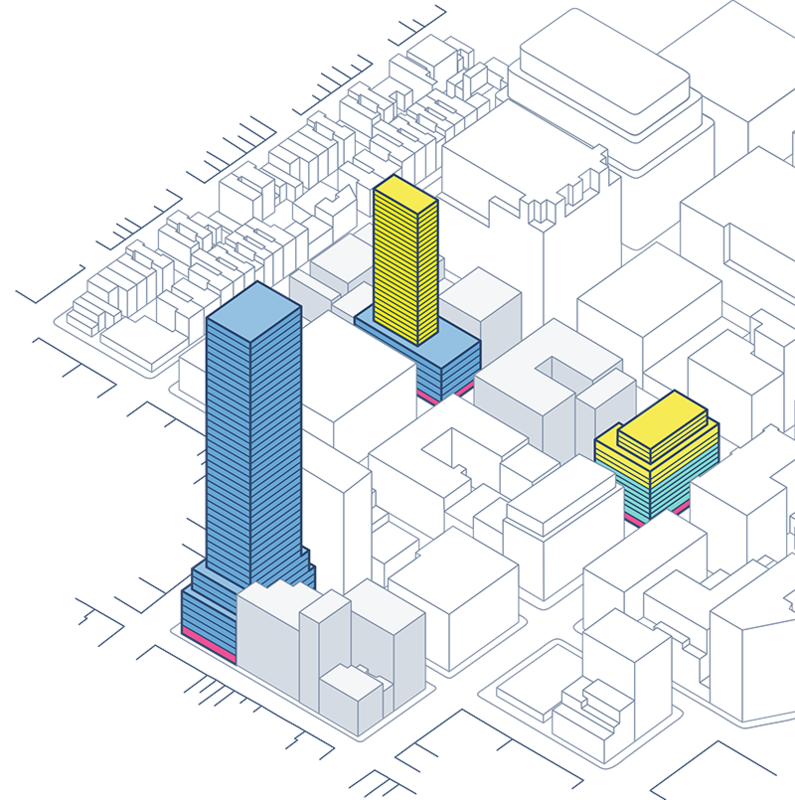 It uses zoning data to parametrically mass parcels, covering setbacks, floor area metrics, air-rights, and assemblages, all while specifying use type, though it does not show building skin and other architectural details. Envelope has been in private beta mode since October 2016 but became available two weeks ago. It was developed with SHoP—who served as incubators—and Sarah Williams, who runs MIT’s civic data design laboratory. “The program affords real privacy for developers as they are speculating. Sometimes this information can spread within the industry and price goes up,” McLaughlin, who is speaking at this month’s Tech+ conference, explained. “The software will be maintained by Envelope staff. It’s a living organism that reflects that reflects ongoing changes in the city,” she added. So far Envelope is only configured for Manhattan but New York’s other boroughs are being worked, as are other cities, said McLaughlin. Final question: What if these two bits of software could work together? Zach Aarons of MetaProp was on hand to say how this could happen. Based in New York and founded in 2015, MetaProp invests in similar platforms to Envelope and Carmera and figures out how to connect them to each other and spur business on. “When you introduce two tech companies to each other, it’s much easier than when working with a client; they speak the same language,” said Aarons. McLaughlin, Aarons, and Ro Gupta of Carmera will all be speaking on a panel at this months Tech+ conference. There, Aarons will talk about the ideas behind technology replacing human beings as it relates to architecture and McLaughlin and Gupta will reveal more about their firms. If you have any questions yourself, head over to Tech+ at Metropolitan West on 639 West 46th Street in Manhattan on May 23. To register and find out more, visit techplusexpo.com.